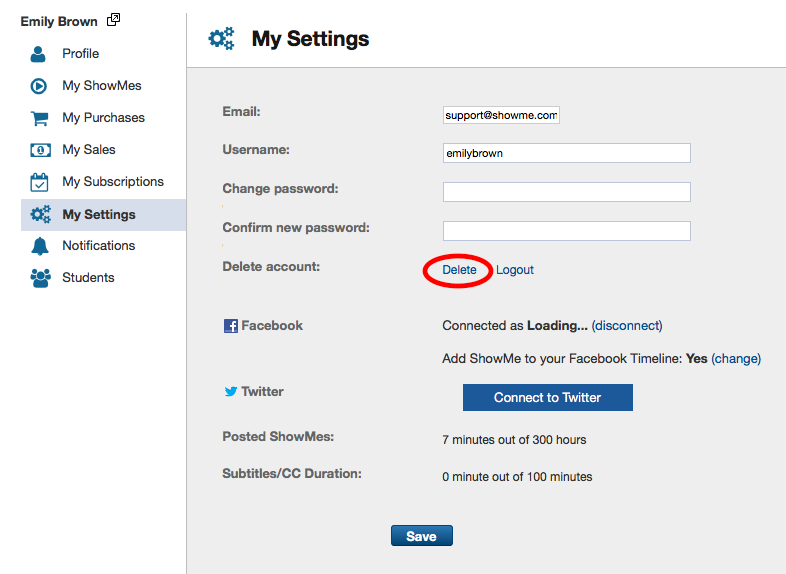 You can delete your ShowMe account from both from the showme.com website and directly from the app. Click on your profile picture placed in the top-right corner. From the drop-down menu click on the ‘Settings’ button. From the Settings page, click on the ‘Delete’ button. Confirm you want to delete your account by clicking on a red button ‘Delete’. Remember that once you delete your account, you will lose all of your ShowMes and related data. 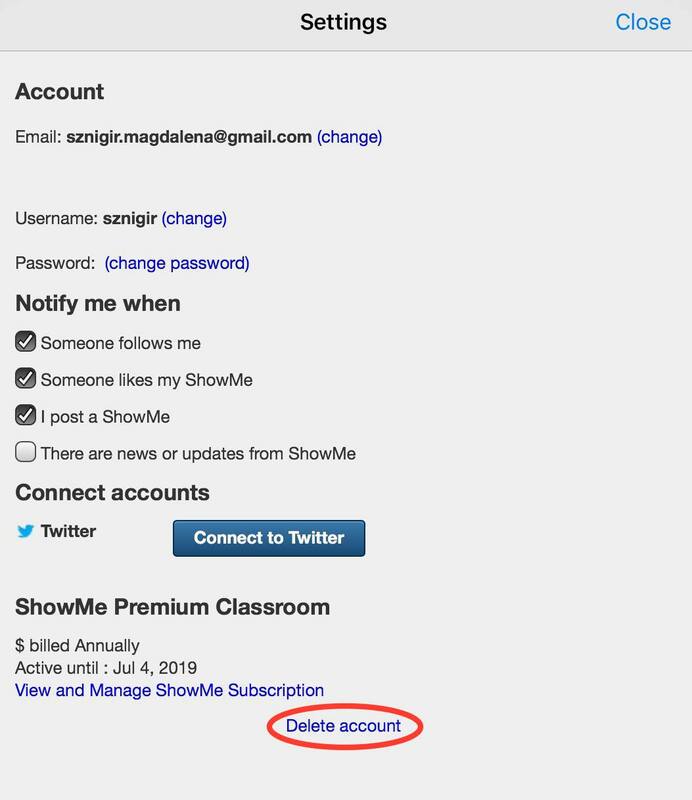 In order to delete your account log in to your ShowMe account in the app. From the drop-down menu choose ‘Settings’. In the popup window, tap on ‘Delete account’ placed at the bottom. Confirm deleting the account by tapping on ‘Delete’. Tip: If you want to save your lessons before deleting the account, upgrade it to ShowMe Premium, and download all your slides and videos. 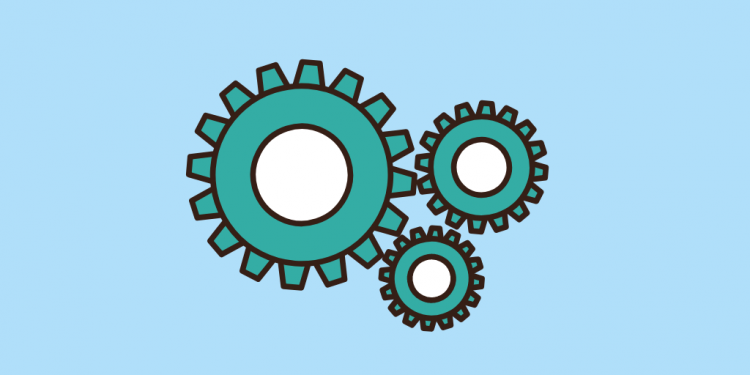 Let us know through support@showme.com if you need any assistance in editing your profile, we will be happy to help you!